Gasps, whistles, and cheers burst from 300 observers as the SpaceLoft 7 rocket blasted into the sky from Spaceport America in southern New Mexico. Among the crowd were 60 students, ranging from middle school through university level, who watched the rocket carry experiments they had designed and built. “That feeling of seeing something you built fly up into space is incredible,” said 13-year-old Emerson Schoeppner. He and other students at Camino Real Middle School and La Academia de Dolores Huerta Middle School, both in Las Cruces, New Mexico, developed experiments using algae. The students used two types of algae, growing samples of each type in a nutrient-rich liquid and in agar gel. Control samples stayed in the schools, while experimental samples rode the rocket. The students had to design containers for the samples that would not leak during the spaceflight. They placed the algae samples in the containers two months before the flight so the containers could be sent to UP Aerospace’s headquarters in Highland Ranch, Colorado. There, the rocket manufacturer bolted the containers to 9-inch-diameter Plexiglas plates and then attached a stack of plates to the base of one of seven 10-inch-tall aluminum cylinders that would comprise the rocket’s payloads. After each metal canister was closed, it was spun to balance it and verify that the contents were securely fastened. Two days before the flight, UP Aerospace workers prepared the cylinders for insertion into the rocket at Spaceport America. A credit-card-size opening in the side of each canister provided access so the students could inject the liquid and gel growth mediums through tube systems they had designed. At eight o’clock the morning of June 21, 2013, the 20-foot-long SpaceLoft 7 (SL-7) rocket shot off the launching pad, reaching a speed of Mach 5 (about 3,800 miles an hour) on its way to an altitude of 74 miles—a record for both UP Aerospace and Spaceport America. The experiments it carried experienced 17 g’s of force and four minutes of microgravity. At the end of its 15-minute flight, the rocket’s payload section parachuted to the ground 23 miles from the launch pad, at its target site on White Sands Missile Range. The recovery team loaded it onto an Army helicopter, flew back to Spaceport America, and circled the crowd at the observation post on its way to the launch control center a mile and a half away. After the UP Aerospace team removed five canisters containing other customers’ payloads, the helicopter carried the rocket section to the observation post. There, students watched as the two remaining canisters were removed and opened, and each team’s experiments were taken out and turned over to the students. Students at Las Cruces High School and Dona Ana Branch Community College sent bean sprouts on the rocket. During the flight, their instruments recorded a number of factors including humidity levels, carbon dioxide levels, and temperature. They planned to plant the sprouts from the experimental and control groups and monitor their growth and productivity. A team of seniors in New Mexico State University’s Electrical and Computer Engineering Department tested their design for a common power-data bus that could supply electricity to student payloads and collect data from the experiments. To date, student experiments requiring electric power have used batteries. Another exciting aspect of this launch was that it was sponsored by NASA and carried experiments for several government agencies and commercial companies alongside the students’ payloads. NASA reserved space for its own payload on the rocket it purchased for the flight. 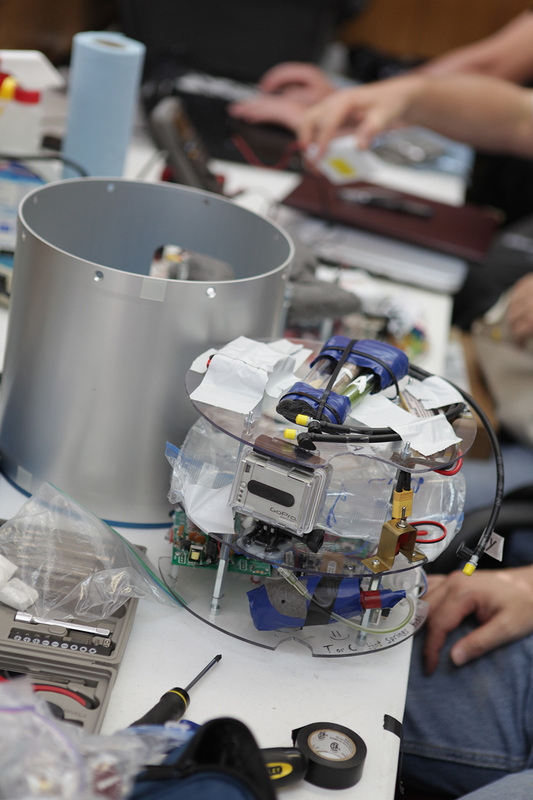 The Suborbital Flight Environment Monitor is designed to monitor and record onboard environmental conditions throughout the flight. The information will be useful in planning future missions, which the instrument will also monitor. The Federal Aviation Administration tested an Automatic Dependent Surveillance-Broadcast System device on the flight. The system will be used on aircraft and rockets to ensure they share airspace safely. The Department of Defense, Virginia-based Control Dynamics, the Italian engineering firm DTM, and several commercial enterprises also flew experiments or other cargo on the rocket. 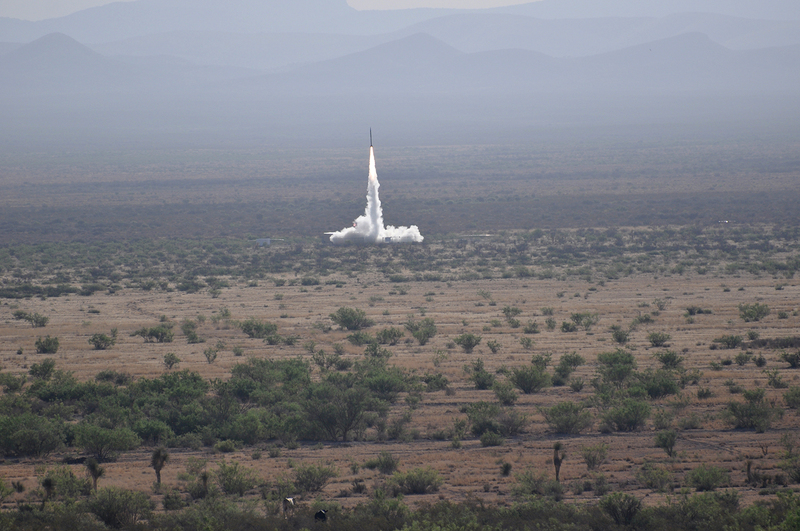 The June 2013 flight was the eleventh launch by UP Aerospace from Spaceport America. It was the seventh to use the company’s SpaceLoft rocket, while the other four involved test vehicles made by other companies. For the first time, this SpaceLoft vehicle was equipped with a de-spin system designed to quickly slow the rocket’s bullet-like spin after it left the atmosphere. It used a set of weights attached to the rocket by cables. When the system was activated, the weights swung outward and slowed the rocket’s spin much as figure skaters do by extending their arms. New Mexico’s Student Launch Program is unique. 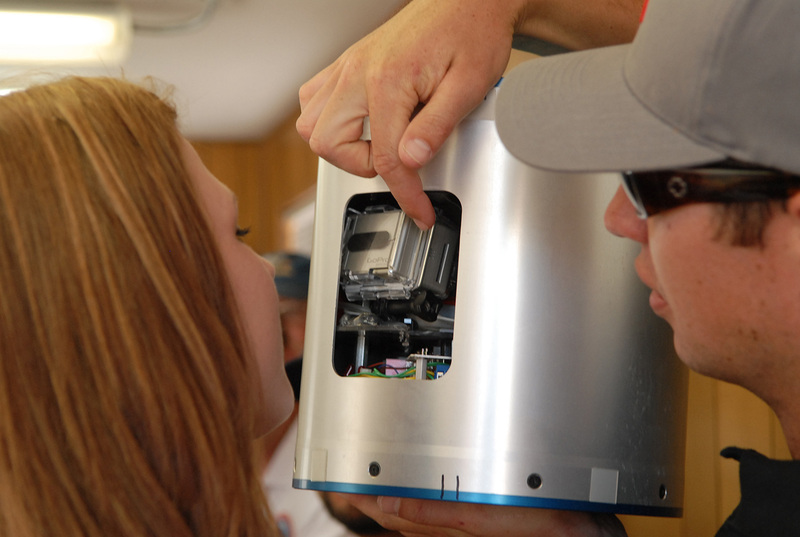 Since 2009, 827 students have participated in the program, sending a total of 76 experiments on five suborbital flights. “This is the only educational initiative in the country that gives students access to a commercial launch complex on a consistent basis,” Hynes said. However, Kubendran explained that students have other NASA-sponsored oppor-tunities to experiment in conditions of extremely high altitude and microgravity. Some projects fly on helium balloons that float at altitudes above 20 miles for up to 20 hours. Others fly on a modified Boeing 727 owned by Zero-G Corporation, which follows a series of vertical parabolic arcs, achieving 30 seconds of microgravity at the top of each arc. Education programs sponsored by NASA, www.nasa.gov/offices/education/programs/descriptions/All_Alpha.html. The Student Spaceflight Experiments Program, http://ssep.ncesse.org. Student contests sponsored by the National Space Society, www.nss.org/contests. About the Author: Loretta Hall is the author of Out of this World: New Mexico’s Contributions to Space Travel and the website www.NMSpaceHistory.com.